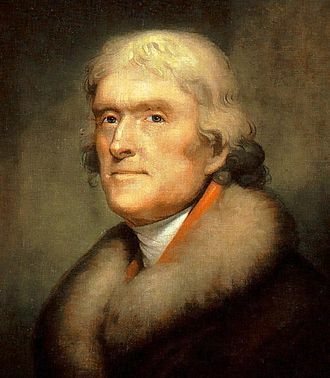 I recently did a partial smooth-read of a book with a weighty title: The Writings of Thomas Jefferson: Being His Autobiography, Correspondence, Reports, Messages, Addresses, and Other Writings, Official and Private. Volume 1. I have long been interested in Thomas Jefferson’s writings. Of course, we all know him as the author of the American Declaration of Independence. (Well, most of us know that; I’m not sure this is still taught in public schools in the United States.) So, to have the opportunity to smooth-read Volume One of this work was something I considered a privilege. Several years ago, I smooth-read some of the diplomatic correspondence that was written during the Revolutionary War. Thomas Jefferson’s perspective on the problems American diplomats faced during the Revolution gave me new insight into this time in the history of the U.S. Of course, European countries had grave doubts about supporting the upstart Colonies. The struggles that American representatives endured while trying to convince European countries to support the Colonies’ need to separate from Great Britain are fascinating to read about. I learned a great deal about the early movement toward the Revolution, and about how the Declaration of Independence arrived in its final form. Most people today think that Thomas Jefferson was in favor of slavery. He was not, and fully intended to free his own slaves. He included a scathing denunciation of slavery in the original draft of the Declaration of Independence, including pointing out how Great Britain was heavily engaged in the slave trade. But other statesmen would not allow this denunciation to remain in the final edition of the Declaration. In this book, some of the correspondence is from the days before T.J. was famous. He was just a young man studying law, and engaged in romances with several different young women. Much of the early correspondence included in this volume has to do with his pursuit of one or two special young women. He teased his fellow students about their romantic problems, and I thoroughly enjoyed the glimpse into the younger T.J.’s life. He must have been an interesting companion! I wish that I had been able to read the entire volume. I look forward to the time that Volume 2 enters the Smooth-reading Pool, and I fully intend to read it. My husband owns a 6-volume biography of Thomas Jefferson, written by Dumas Malone. Dr. Malone had access to the original documents that are in the Library of Congress, when he wrote his biography. I’m thrilled that I’m getting to read the same documentation, although in digital form, as was used to write the definitive biography of Thomas Jefferson. This entry was posted on Monday, May 26th, 2014 at 12:01 am and is filed under Book Review, Smooth Reading. You can follow any responses to this entry through the RSS 2.0 feed. You can leave a response, or trackback from your own site. More titles by or about Thomas Jefferson at Project Gutenberg.